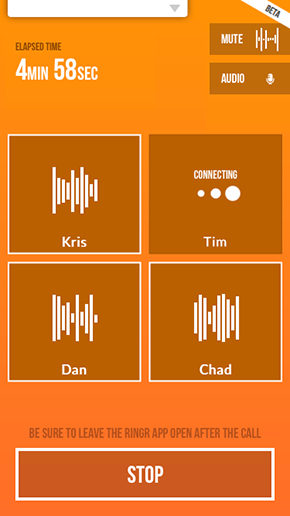 RINGR now allows you to talk with as many as 4 guests with our NEW CONFERENCE CALLING FEATURE. Plus, you can talk to your guests before you start recording with RINGR’s green room technology. Also, with CALL RESUMING, you now have the ability to instantly reconnect with a guest if you want to.